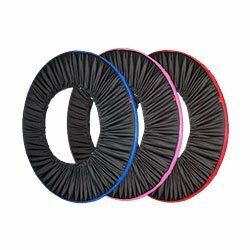 Hula Hoop Tape – Hula Hoop Covers – Hula Hoop Bags – Grip Tape. Buy all your hula hoop accessories here. From hoop bags to hula hoop tape and spare spines and wicks for fire hoops. You can also buy instructional hula hoop DVDs here. Hula hoop carry bags make it easy to transport many hoops are the same time. Without one of these handy bags it's likely your hoops will end up all over the place which is annoying for both you and those travelling with you. Our hoop bags come in a choice of colours. Hula hoop tape is another essential accessory particularly if you like throwing your hoops or you practise over rough ground. Sooner or later your beautiful hoop is going to start to look tatty. Restore it to its former glory with our pro gaff and pro sheen tape. 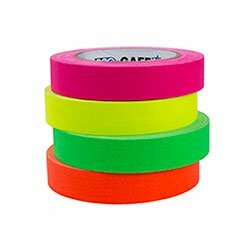 The progaff is a durable fabric tape that adds grip to your hoop and comes in load of colours, including many UV colours. The prosheen tape is beautiful, sparkly, shiny ape that is also pretty durable and looks amazing in sunlight or under stage lights.